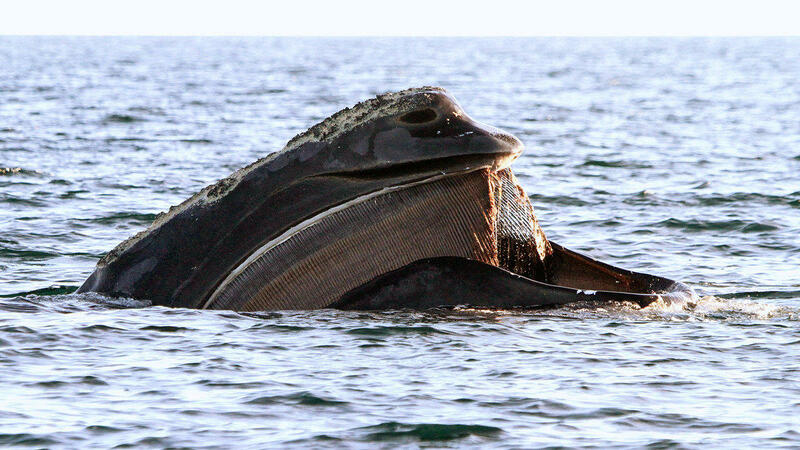 Blue York: Seismic Surveys: A Tipping Point for North Atlantic Right Whales? Recently, the Department of the Interior issued an order that could reopen offshore seismic testing for oil and gas in parts of the Atlantic Ocean, including the Hudson Canyon. The directive follows an executive order from the Trump Administration that encouraged increased offshore oil and gas development, and reverses an Obama Administration order in January that denied such survey permits. The permits are being considered for coastal areas of the eastern United States—important wintering and calving grounds, and migration areas, for the North Atlantic right whale. The stress of widespread seismic airgun surveys may represent a tipping point for the survival of this endangered marine mammal, whose population currently numbers only about 500. Right whale mother and calf pairs could face considerable risk in and around important habitats should seismic surveys take place. The sounds emitted from seismic airguns used in the search for oil and gas deposits beneath the ocean floor could disrupt the ability of whales to communicate, and lead to increased stress for these whales and other marine mammals. "The U.S. Bureau of Ocean Energy Management can still hold to recent decisions and deny the six permits currently under consideration," said Dr. Howard Rosenbaum, Director of the WCS's Ocean Giants Program. "We urge them to fully account for the effects of seismic survey on marine mammals and the natural environment."